NDEBELE ART WAKES UP NEW YORK! ARTIST Esther Mahlangu has once again made Mzansi proud. 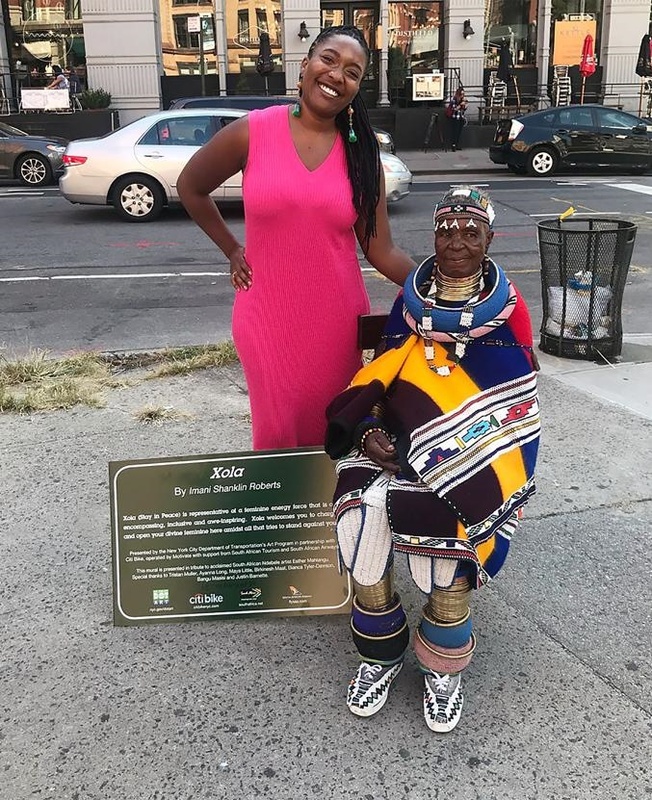 This week, the famous artist exhibited an Ndebele work she designed for New York, in the US. The gogo from Mpumalanga has made a name for herself around the world with her colourful traditional Ndebele painting. 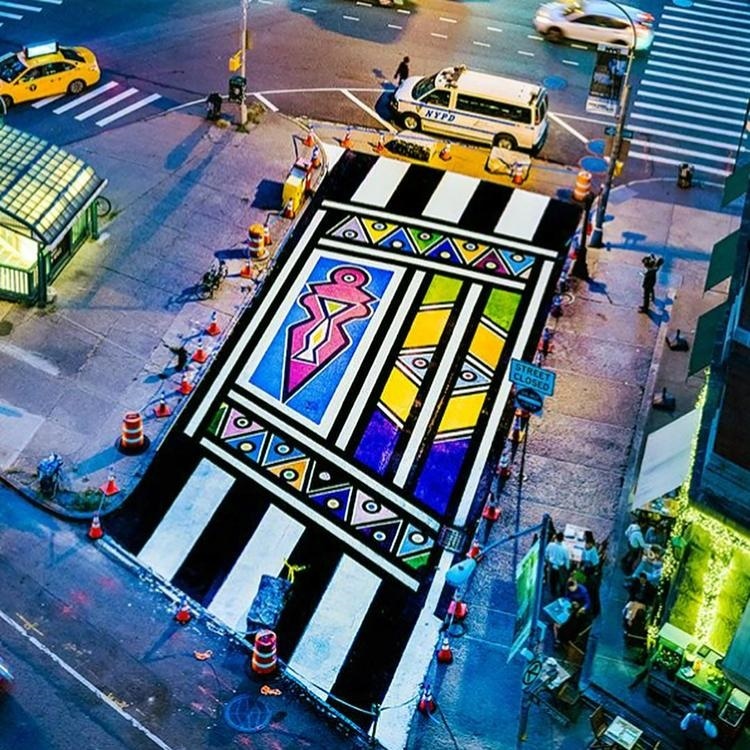 This design was created by Esther Mahlangu for Franklin Street in New York. The New York work is named Xola and is meant to honour Esther’s contribution to art. It is part of a tourism partnership between SAA, SA Tourism’s US office and bicycle-sharing organisation Citi Bike. 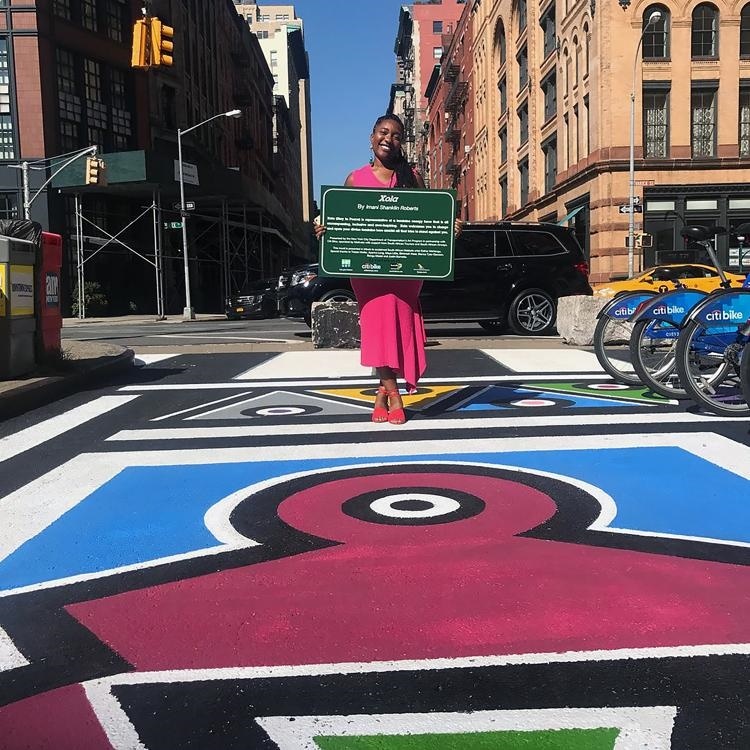 Since the unveiling of the work, New Yorkers have been taking selfies of themselves in front of the traditional Ndebele pattern. It was painted on Esther’s behalf by American artist Imani Roberts on Franklin Street. Roberts said the design, featuring Ndebele symbols, is a celebration of feminine energy. Bangu Masisi, president of SA Tourism’s American division, said they are very proud. “Esther is famous the world over for her colourful and geometric paintings, which have inspired international brands and artists from many backgrounds.